The Kattenslootbrug on the canal, by SWEETs Hotel. These iconic, miniature hospitality destinations offer more than just their cute-factor. 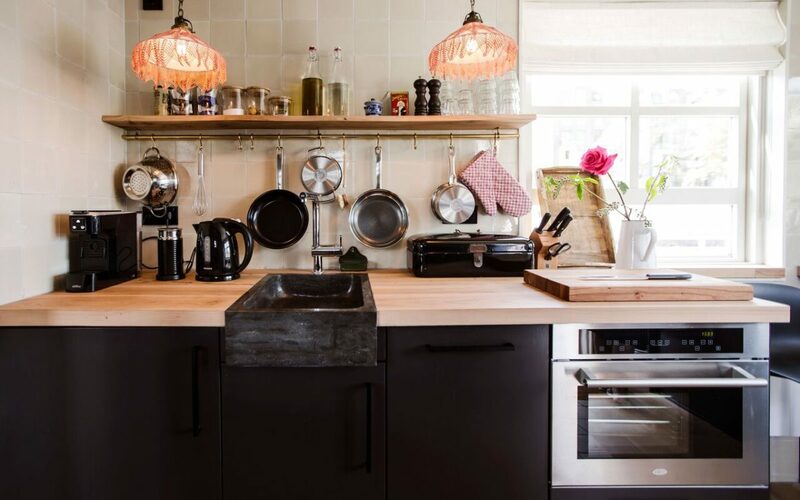 Amsterdam is a pretty easy sell—close proximity to poffertjes, gorgeous canal views, and bike transport (if you dare). 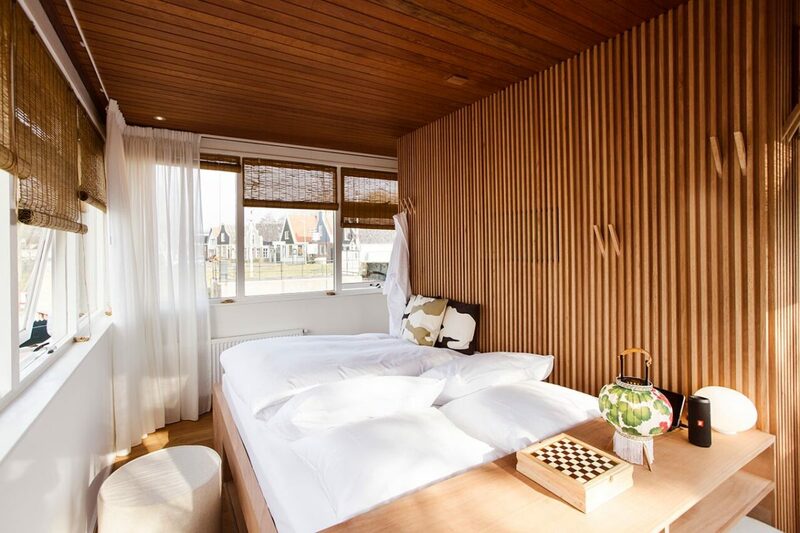 But now you can stay in a little piece of its history—and I mean little—right on the canals. Sound goed to you? Meet SWEETS hotel. “One hotel / 28 bridge houses,” as they like to say. 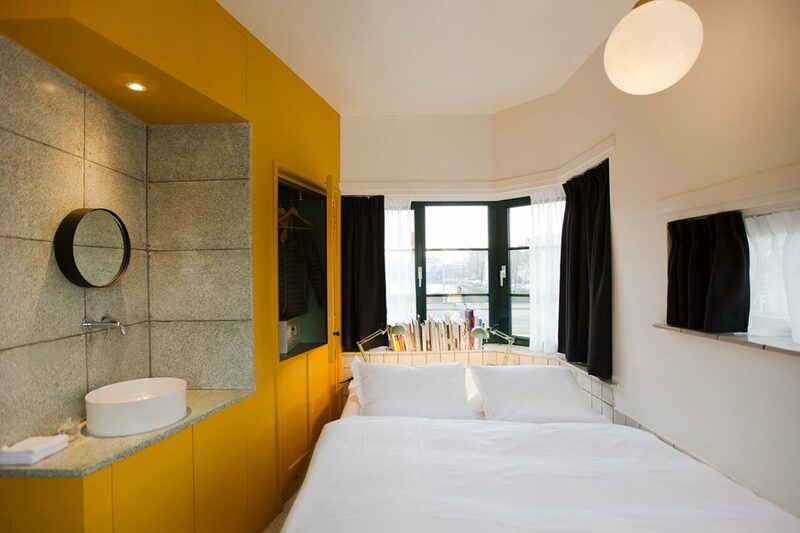 Scattered throughout Amsterdam along the famous canals, SWEETS is a new hotel concept in the midst of transforming the city’s 28 iconic bridge houses. What’s a bridge house, you ask? 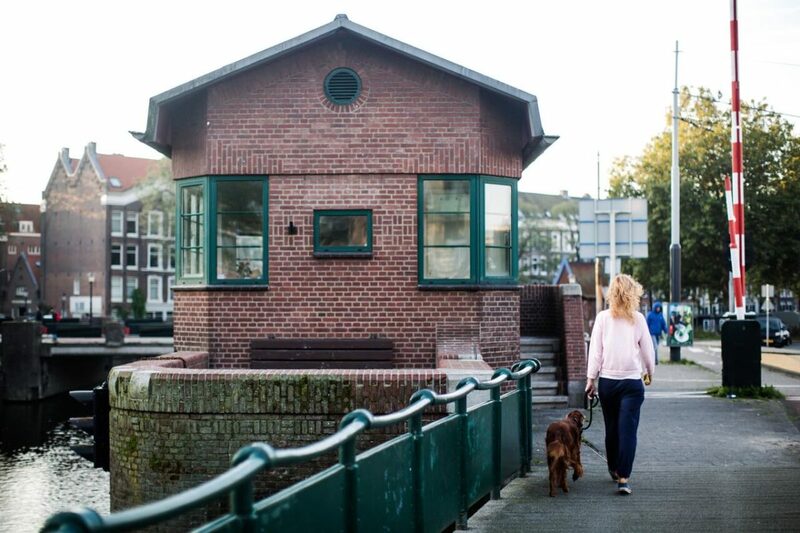 They are the small structures located along the canals that, for 100+ years, accommodated the bridge keepers who were in charge of lifting and lowering the bridges for passing boat traffic. 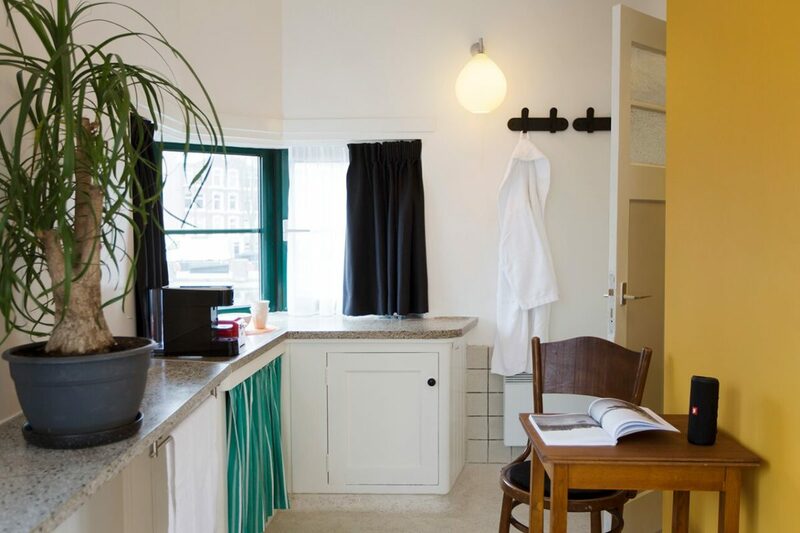 They were decommissioned after a centralized bridge control system was introduced in 2017, but in 2012, the founders of SWEETS presented the city of Amsterdam with their plan to transform each bridge house into a tiny hotel suite, preserving the history of these “sweet” little buildings while introducing travelers—and locals—to unexpected areas of Amsterdam. 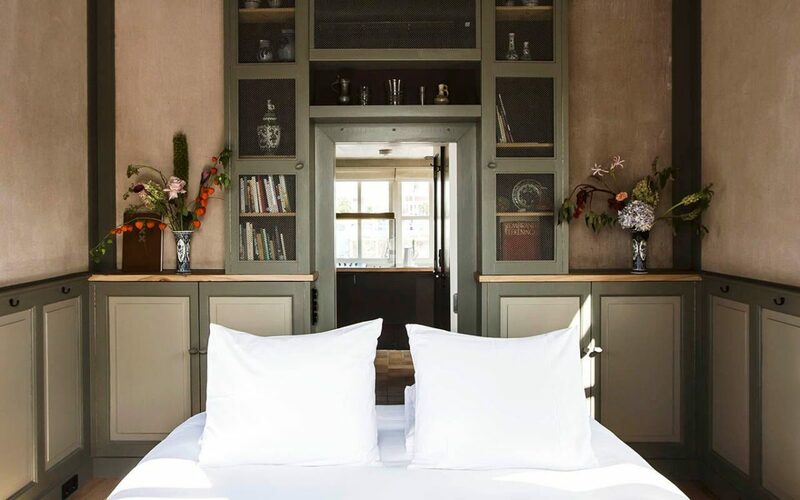 I recently stayed at bridge house 207—Nieuwe Amstelbrug—originally built in the De Pijp neighborhood in 1912, and though I’ve been to Amsterdam a few times, I’ve somehow never explored De Pijp (how?! ), and it was due time to peruse the Albert Cuyp Market and meander charming new streets. Seating overlooking the canal in the Kattenslootbrug. All the houses are sleek and functional yet reflective of the architectural style of the exterior. From the “Amsterdam School” style made popular in the early 19th century to modernist structures, SWEETS was careful to keep the historic design in tact. 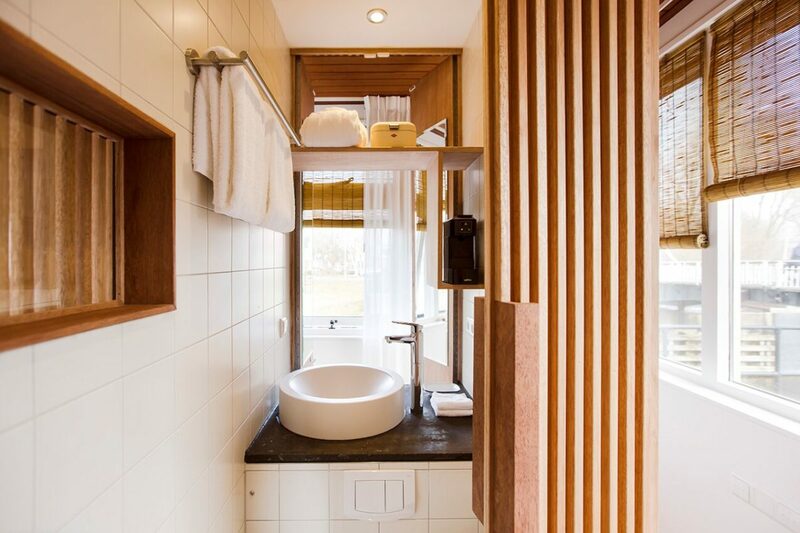 Inside, the tiny bridge homes are stocked with a double bed, full bathroom, small fridge, safe, a tablet loaded with Netflix and a bluetooth speaker. There also have robes, slippers, earplugs, SWEETS branded playing cards and plenty of games. But most importantly, don’t forget about those views. Even though there is no hotel lobby, SWEETS ensures the check in and check out process is extra easy. The day of your arrival you’ll receive an email with an access code. Simply type in the code in Flexipass, a free app, scan your phone at the front door and ta-da! You’re in. To check out, answer a few quick questions on the provided tablet—for example, did you lock the windows?—and close the door behind you. 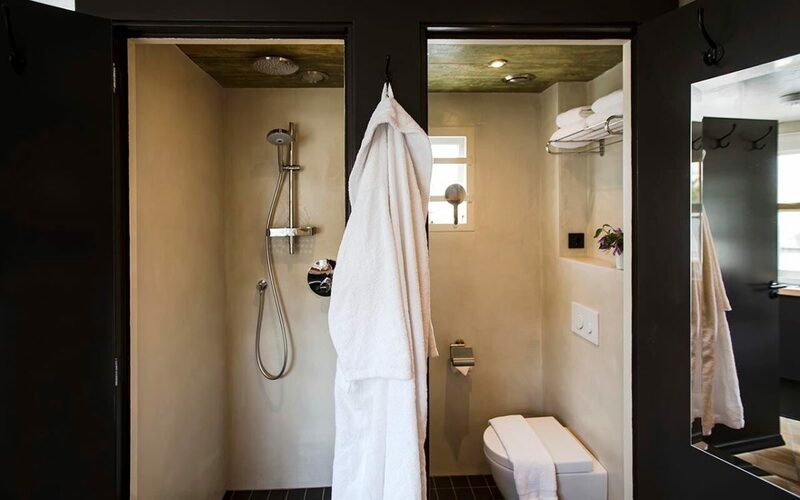 The Buiksloterdraaiburg bathroom—giving the tiny home trend a run for its money. You’ll like it here if: You’re dazzled by history, design, tiny homes or any combination of the above. The crowd: There is none! Just you, the canals and all the bicyclists buzzing by. 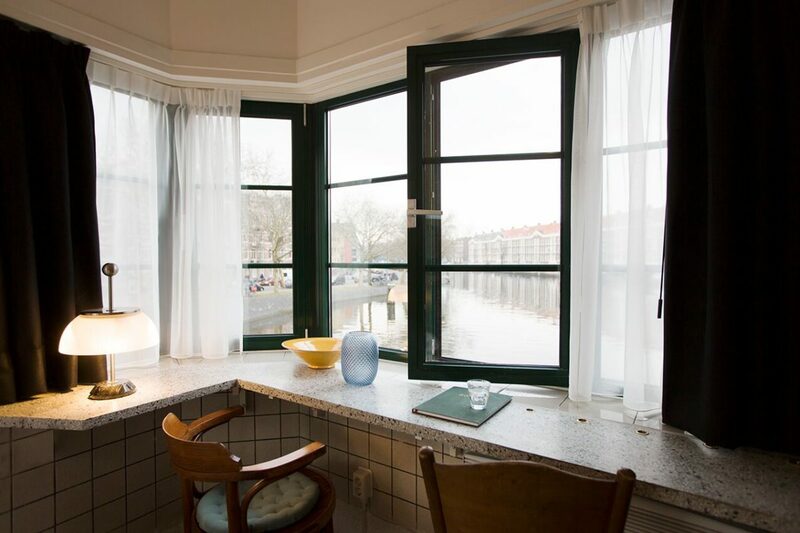 You’ll know you’re in Amsterdam because: Your windows open up onto the freakin’ Amstel river. Not much more Amsterdam than that. Use SWEETS as an excuse to stay in a neighborhood you otherwise wouldn’t, so you can feel like a true Amsterdammer. 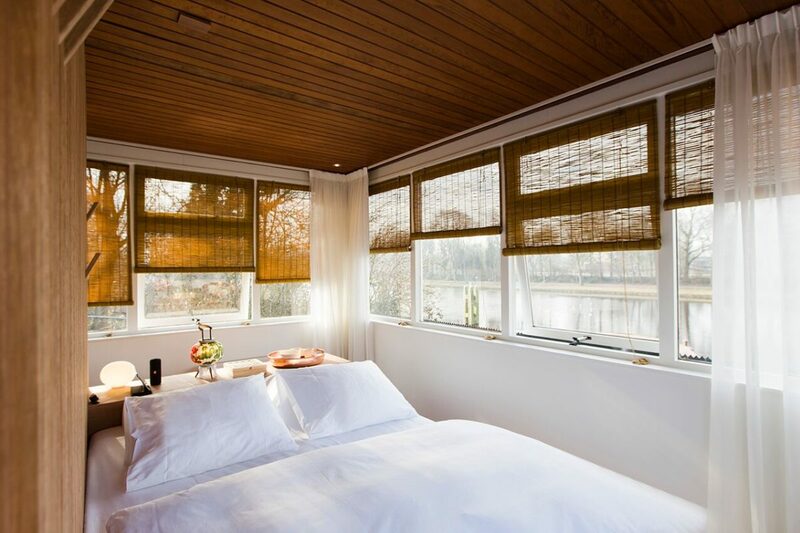 If you want to get out of the hustle and bustle: Buiksloterdraaibrug. It doesn’t get more quaint than this. Buiksloterdraaibrug overlooks a tiny lake in Amsterdam North, on a cycle path near Dutch character houses and an 18th century windmill. Your neighbors? The local swans. If you want to be in the center of it all: Kattenslootbrug. On the edge of the buzzing Jordaan neighborhood, Kattenslootbrug was built in 1952, designed in the late “Amsterdam School” style. It’s an easy stroll to both city center and the Noordermarkt, the popular farmers’ and flea market combo open on Sundays and Mondays. If you want to see Amsterdam like you’ve never seen it before: Amstelschutsluis. Warning: you might want to stay in this little house on this little island forever. Amstelschutsluis, the oldest bridge house built in 1673, is only reachable by boat, so SWEETS charters a private boat captain for your stay. The captain even delivers breakfast to you in the morning.